Today's blog post is the eleventh of many interview previews of performing choirs for PODIUM ON THE EDGE taking place from June 28 - July 3, 2018 in St. John's NL. 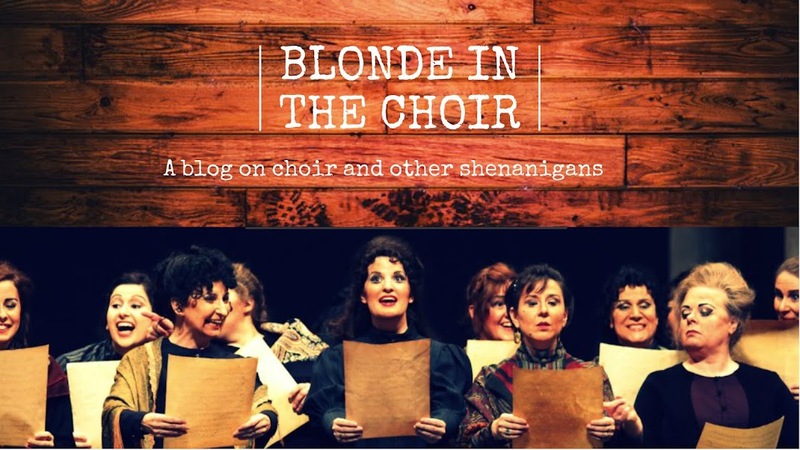 Check out my previous blog posts with The University of Redlands Chapel Singers,Toronto Children's Chorus, Les Petits Chanteurs du Mont-Royal, Capital Chamber Choir, The Oakville Choir for Children & Youth, Elektra Women's Choir, That Choir, Aurora Women's Choir, Sirens Choir, and Ensemble Laude! Since its inception in 2013, Chronos Vocal Ensemble has built a reputation for innovation and excellence. 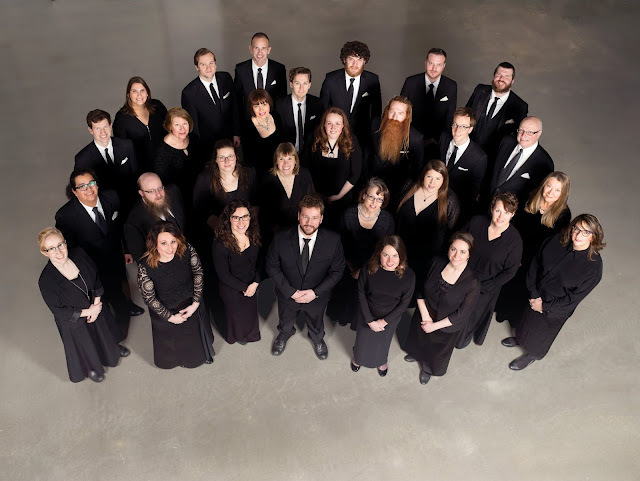 Under the leadership of Jordan Van Biert, the choir focuses on collaborative learning and careful preparation, to deliver compelling performances to enthusiastic audiences in Edmonton and beyond. Chronos singers bring varying backgrounds and skills to the ensemble, and are united in their appreciation for inspired music-making and significant repertoire. 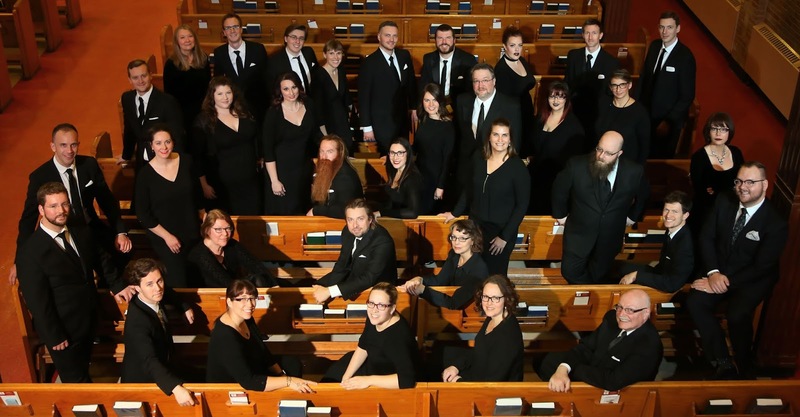 The choir was awarded the Healey Willan Grand Prize in the 2015 National Competition for Canadian Amateur Choirs, and earned a Performance Award from the City of Edmonton’s Salute to Excellence in 2016 for bringing recognition to Edmonton. 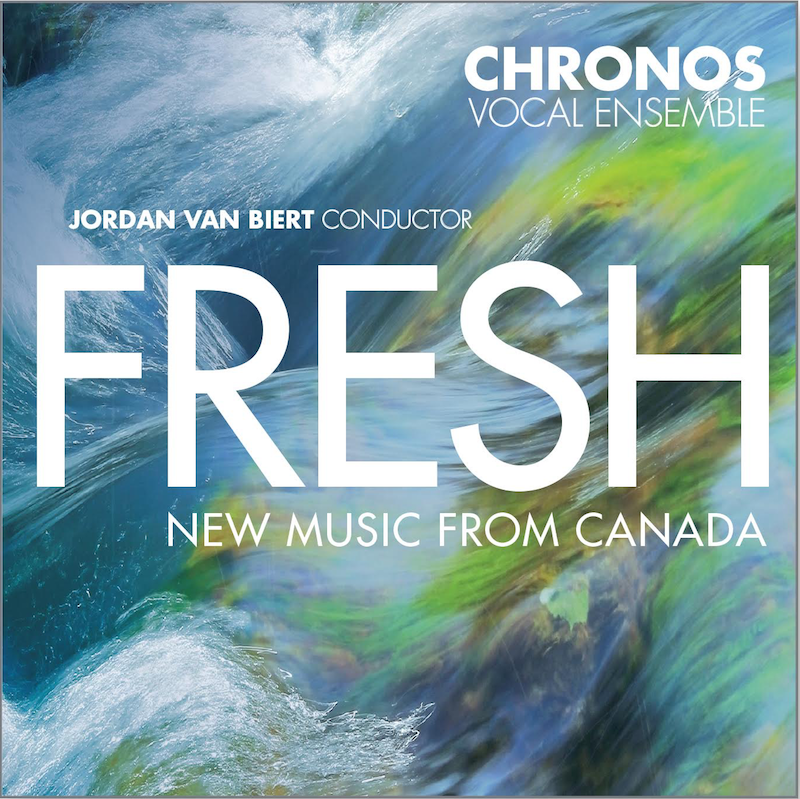 The choir has released three recordings: Presenting Chronos Vocal Ensemble (2015), The Simplest Way: The Music of Trent Worthington (2016) and most recently, Fresh: New Music from Canada. Chronos Vocal Ensemble has toured the Canadian prairies, and has been invited to perform at a number of prestigious events including the 2015 Music Conference Alberta, the University of Alberta Alumni Centennial, and the 2016 and 2018 Podium conferences. JVB: I think we are unique in our combination of things. None of our components individually is really unusual, but 1) we are an inter-generational adult group, 2) we are non-professional, 3) Jordan ignores #2 in the pursuit of excellence in performance. Musically and organizationally, we’ve tried to emulate professionalism in some key ways, including having a performance-oriented rehearsal process that really loads the preparation into the days immediately preceding concerts, having a board with broad representation from the public, and having a professional staff. But I think what makes us special is the way things come together when you get these people together over some great music, and that’s a bit tough to describe in words. We formed up back in 2013 out of a shared interest in working at a really high level and learning a lot along the way, and around some particular musical interests of mine at that time (especially German repertoire from Bach to about the early 20th Century), which have grown and broadened as we’ve gone along. JVB: This season we performed the Martin double-choir mass, a bucket-list thing for me, and completed the cycle of Bach motets, which had been a five-season project. We also performed a concert of African-American Spiritual arrangements spanning about a 120-year period, which was a great and humbling opportunity to apply our approach to a genre of repertoire that we’ve all worked in, but is so deserving of more intentionality than it sometimes gets. But the biggest thing this season was our concert and recording “Fresh,” featuring new music by 12 Canadian composers. We held a composition competition, commissioned an exciting new piece from Alex Eddington, and sourced a number of other unpublished and unperformed works to put together a challenging and exciting concert, and then did the recording right after. Working with the composers to pull together the finished product was a great opportunity, and we’ve just released the recording a few days ago. So you know we’ll be hyping it at the conference! JVB: This time that’s an easy one. We’ve got the new recording out, and we know this is a prime audience for this music, so we picked from that material. The only challenge was having to leave a few things off! JVB: We’re really fortunate that this is the second Podium in a row we’re performing at. And the last time was our first time, and also we were just a three-year-old group, and had just done well in the national competition, and so I think I had this feeling that we needed to do a really broad range of music and sort of, maybe, prove ourselves. This time I was a bit more chill about that, and comfortable creating a bit more “niche” program that will be unique to us. I think audiences can hope to hear amazing music they’ve never heard, and from composers that they can get excited about, some of whom will be in the audience. JVB: It’s huge. As a conductor I never want to miss Podium; this will be my – I did the math – seventh consecutive Podium over a 14-year period that began when I was a student. Over the course of those seven conferences I’ve really built a strong concept of what’s going on around the country and it’s become a really important way for me to maintain a network of people to count on for great repertoire ideas, a shared vision for great music, and excellent camaraderie! That networking is more reinforced now by social media of course than it used to be, which is great, but there’s no substitute for the occasional chance to actually see your colleagues in person, collect new ideas, and hear these fantastic performances. JVB: So important! 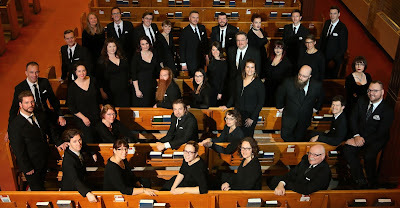 We’re a “generalist” ensemble, and we like to perform lots of Important Dead Europeans and such, but our projects featuring new Canadian music (including this new recording, and our 2016 one featuring music of Trent Worthington) have really given us the chance to connect with other choral people around the country in sharing this repertoire. There’s great material out there, and there’s more to be had if we keep commissioning excellent composers who have original ideas. JVB: Overall with composers, I’m impressed when something is really idiomatic about their work without it feeling like something you’ve heard before. Nicholas Ryan Kelly from BC, who won our composition competition last year, really has that aspect to his material, and I’m excited that he’ll be at Podium – he’s been winning competitions all over the place, and doing awesome work. In terms of seeking a composer for a new project, it’s just been over the past few years that a couple of my groups have been able to begin commissioning, and in the future I hope to have more chances to commission composers I’ve worked with before. Then, I’m sure that selection process will have a lot to do with “how did it go last time?” and whether that composer feels suited to what we’re looking to do. So far I’ve mostly worked with people for the first time, and I’ve found it sets my mind at ease when I talk with a composer about the ensemble and what we’re about, and get a sense that they are interested in what we do in addition to being able to explain their own musical ideas. Beyond that, I hope they’ll just write something they really want to write! JVB: I started out with piano lessons, and as a band kid in school – concert and jazz bands. I went into a music program at The King’s University in Edmonton, figuring on being a schoolteacher eventually. As a music major I was expected to sing in choir, and then got bit by the bug in a big way. Many people probably have a person they associate with their first formative choral experiences, and for me that was Tim Shantz. He was my first conductor in that college choir context, and through him I had some of the initial amazing musical experiences that continually pushed me in this direction. It really started with that joy of ensemble music-making (I was probably not cut out for the solitude of solo performance, nor – honestly – a good enough pianist!). That joy aspect eventually progressed to that sense of “hey, I think I could DO this!” And then being in Edmonton, where there’s a huge amount of choral activity going on, and lots of it at a pretty high level, there were plenty of chances to scratch that itch – you know, to have continual opportunity to put in all those hours that allow you to build skills, which then continued into graduate work in choral conducting at the U of A, doing National Youth Choir, singing with Pro Coro, and so forth. 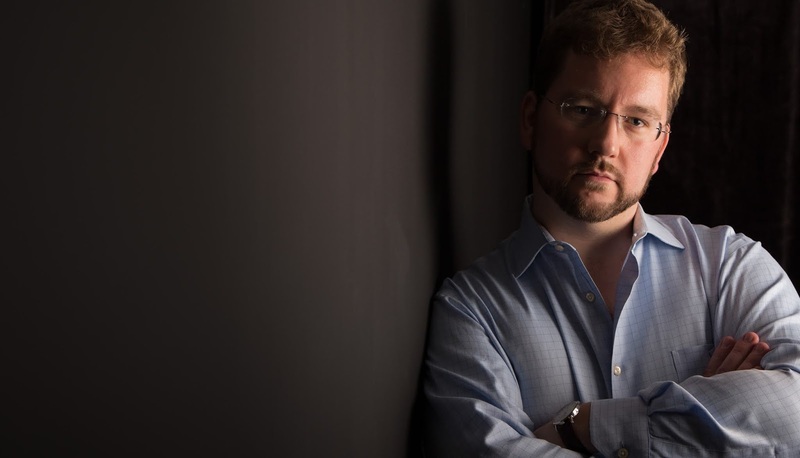 JVB: I’d like to continue to have Chronos Vocal Ensemble make excellent recordings of great repertoire, continue to find ways to make it to other parts of the country and collaborate with other choirs, and I’d like to get us promoting Canadian music beyond our borders before long, in person! Ongoing learning, too, and creating chances to try new styles and develop our chops in various ways, is a continual goal. JVB: We are so excited to come to Podium in Newfoundland! A whole bunch of us Albertans have never been, and we can’t wait to combine visiting an amazing new place with sharing in music-making with our great Canadian community. See you soon! 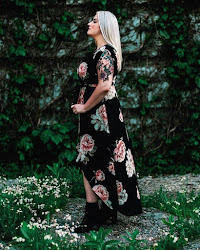 Over the past decade, Jordan Van Biert has emerged as a respected choral leader and organization builder, uniting singers in the common goal of creating rich musical experiences—for themselves, for each other, and for audiences. 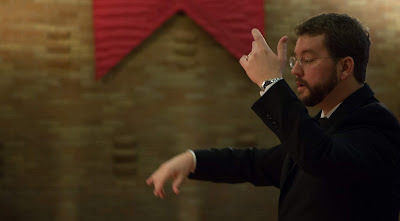 A graduate of the University of Alberta and The King’s University College, he is an experienced conductor of many ensemble types, and works in the Edmonton area with Chronos Vocal Ensemble, Vocal Alchemy, Ante Meridiem and the choirs at Trinity Lutheran Church. An accomplished singer, he has performed extensively with professional ensembles in Alberta and beyond. He regularly serves as a workshop leader, adjudicator, and organizational consultant. In summer of 2016 he was part of a group of international conductors selected to conduct the Stuttgart Chamber Choir in performance as part of a masterclass with Frieder Bernius. Chronos Vocal Ensemble performs on Saturday, June 30, 5:00pm at the Cochrane Centre (81 Cochrane St) as a Spotlight Choir for #Podium2018.